Today, Google announced that Anthos, their hybrid cloud platform, is now generally available. The announcement was made at their Google Next ’19 event, currently being held in San Francisco. The platform, based on their previously announced Cloud Services Platform, allows cloud users to run apps that they have developed in any cloud platform, in addition to on-premise deployments. Anthos also gives developers the tools to manage applications in any cloud environment, including Amazon Web Services and Microsoft Azure. Anthos is built on a “write once, run anywhere” principle. The platform strives to eliminate the need for developers to write an application multiple times to run in different environments. Google based Anthos on their Kubernetes engine to allow users to develop apps in a commonly-supported, open architecture. This also makes it easy for developers to deploy applications on other cloud environments, such as AWS and Azure, without having to reconfigure or rewrite them. Google is launching Anthos with over 30 software, hardware, and system integration partners on board. These partners include Lenovo, Intel, VMware, and Dell EMC. The partners have committed to supporting and delivering Anthos on their cloud infrastructures to let their users take advantage of the new service. Alongside the announcement, Google also announced that Anthos Migrate, an automated virutal machine (VM) migration tool, is entering beta. Anthos Migrate helps users migrate on-premise or cloud-based VMs into a Kubernetes cluster. By automating this process, Google gives cloud developers the ability to focus more on development and app management rather than configuring VMs to work in a new environment. 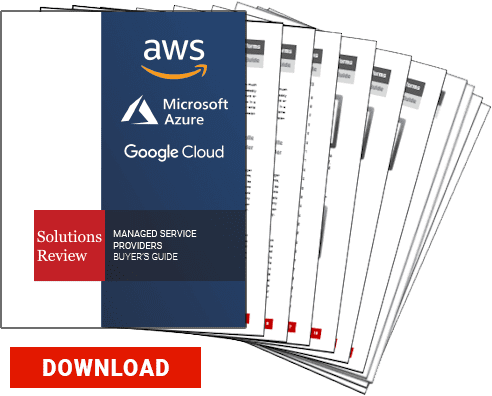 Our MSP Buyer’s Guide contains profiles on the top cloud MSP vendors for AWS, Azure, and Google Cloud, as well as questions you should ask providers and yourself before buying. We also offer an MSP Vendor Map that outlines those vendors in a Venn diagram to make it easy for you to select potential providers.